Author: Eversz, Robert M. Set In . . .
Nina Zero is a girl who attracts trouble. Serious trouble of the guns-a-blazing, knife in the back variety. After serving a prison sentence for single-handedly blowing up LAX airport - by mistake - she finds on her release that the world just won't allow her to lead a simple life. The "electrifying" demise of heavy metal group Death Row in a hotel hot-tub gives Nina the opportunity to launch a new career as a paparazza - but all too soon the shine of her glamorous job begins to tarnish with the chilling realization that someone is killing Los Angeles' paparazzi. While the corpses of her competition pile up around L.A. Nina takes it upon herself to track down the killer, becoming prey for both the police and the murderer. While searching for the killer she manages to squeeze in an off-the-wall green card wedding, a guest appearance on the docu-soap Meat Wagon, and a walk-on part in a longstanding family feud. 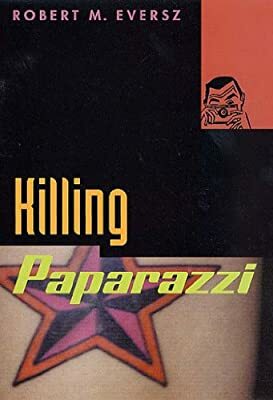 At turns hilarious and thrilling, with a pace as fast as the paparazzi's flashbulb, Robert M. Eversz's Killing Paparazzi is no normal trip down the red carpet.